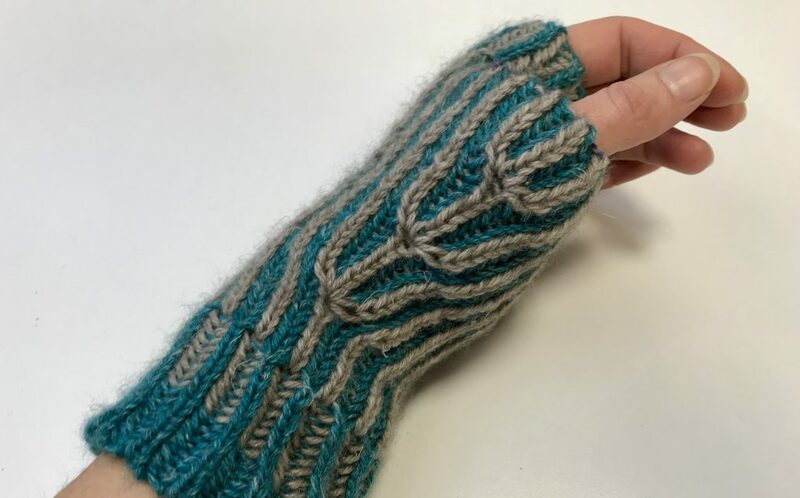 I’ve been sharing small details of these mitts with you over the last few weeks but now they are finished and the pattern is live! I really enjoyed the process of designing these mitts, they were designed to teach brioche in the round techniques in a step-by-step manner. This of course doesn’t mean that can’t be amazing mitts in their own right! 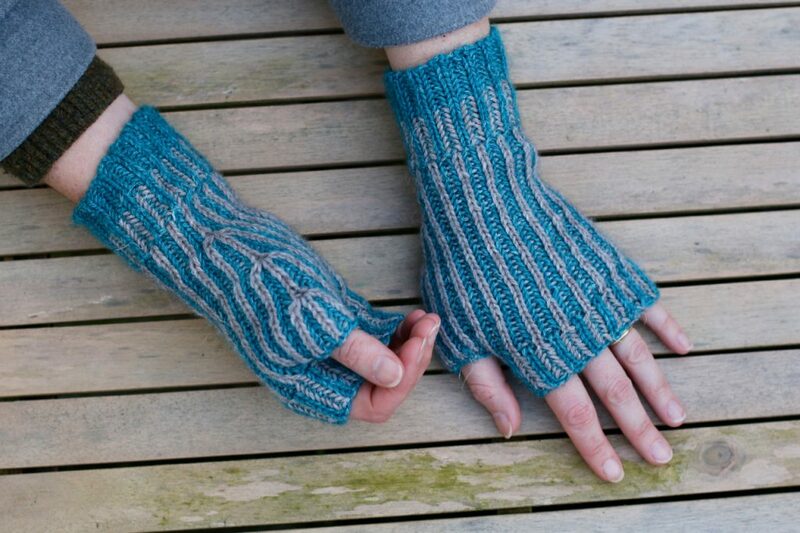 In fact I love the elegant simplicity of the thumb increase, even small details in brioche knitting can be stunning. So what do you learn in these mitts? To start with you begin with an Italian Cast-On in a single colour. This cast-on is ideal for brioche as it’s super stretchy and mimics the knit/purl rib for a very smooth start. We then begin with brioche worked flat; the reason for this is due to the twist of the cast-on. It’s very difficult to get it to stop twisting around your needles and I found that a few rows flat first of all makes for a much neater, pain-free start. You can see that the first part is also in a single colour so you can get used to the brioche stitch before introducing the second colour. Once the work has been joined in the round and a single colour worked for a short while you then introduce the second colour. This creates a striped effect with the knit and purls worked in different colours. Its especially easy to work in brioche as you are only working every other stitch each round so all you need to do is switch between colours every round. The next technique that is introduced in syncopation. You can see that where the knit stitches change from blue to beige. It’s a simple technique but creates a dramatic effect. Now we come to the thumb increase. You can see that it’s right at the centre of the thumb. All of the increases happen on one stitch for maximum effect. Then when the thumb increases are finished you can remove the stitches and bind them off later. If you want to learn how to work though these mitts in person there’s still time to join my class on February 2nd! If you want help on any of the techniques used you can find may of them detailed in my brioche tutorials here or on my brioche workshop here. Kits for the mitts are available here. Do you see some brioche in your future? Hi Carol, I live in Cork and would be interested in seeing your patterns and wool. I returned to knitting a few years ago and I’m addicted again! Feel free to drop by any time you’d like! My studio is in Marina Commercial Park. Before Christmas I had a monthly open morning on the last Saturday of the month and hopefully very shortly I will start that again.